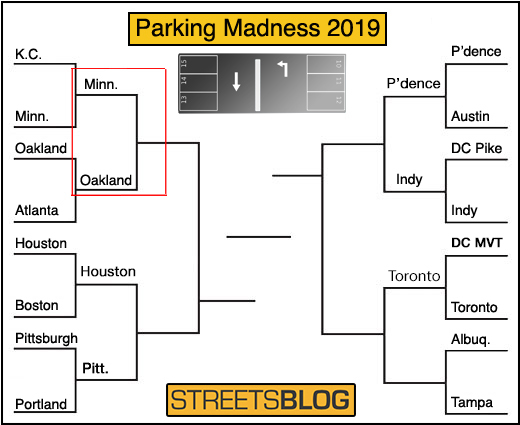 We’re on to round two in Parking Madness — this year’s Sweet 16-style competition to find the Most Improved Parking Crater (™) in the U.S. is down to the Elite Eight. But before we move on, here’s a reminder: Voting is still open in the competition between Albuquerque and Tampa to determine the last qualifier for the quarterfinals. 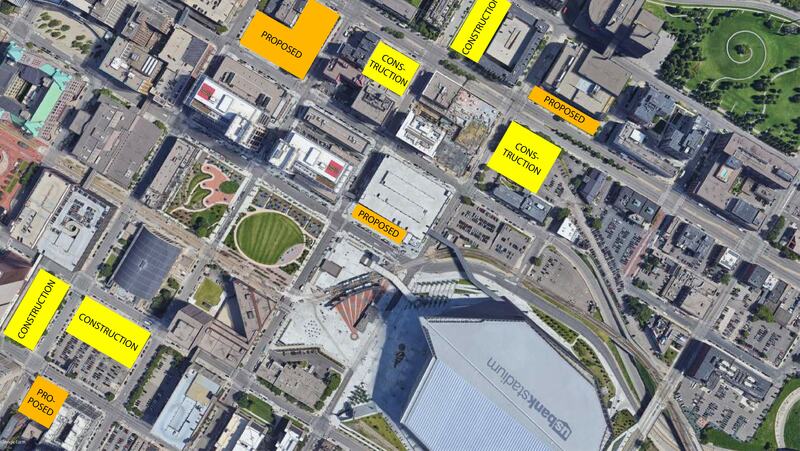 Today’s first Elite Eight matchup will explore two cities who have done a great job repairing parking craters — surface parking lots in dense urban areas. Meanwhile, let’s check out today’s matchup: Minneapolis vs. Oakland. 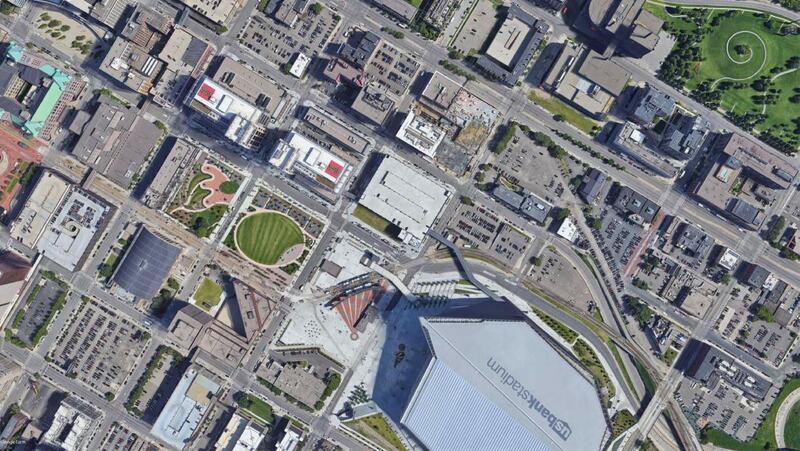 This site, U.S. Bank Stadium, is a stop on both Minneapolis’s Blue and Green light rail lines, which surely helped fix this parking crater. 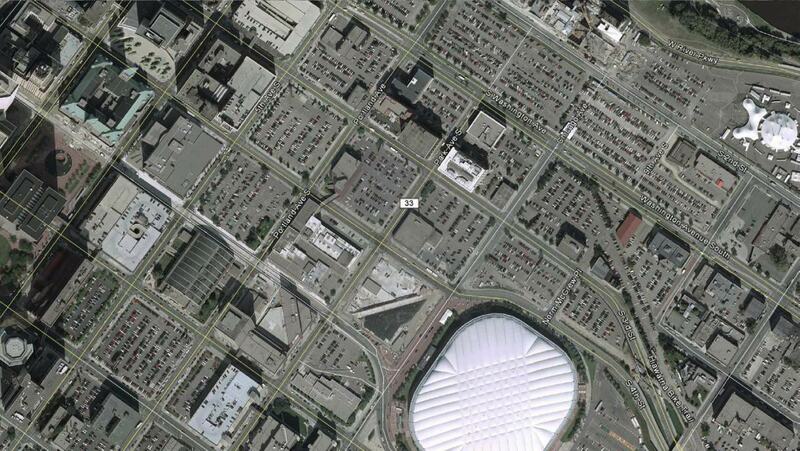 But Minneapolis has seen an impressive amount of infill development throughout the city in recent years. At least one local expert says that’s how the city managed to actually lower driving miles, even as its population increased — the holy grail for sustainable transportation. 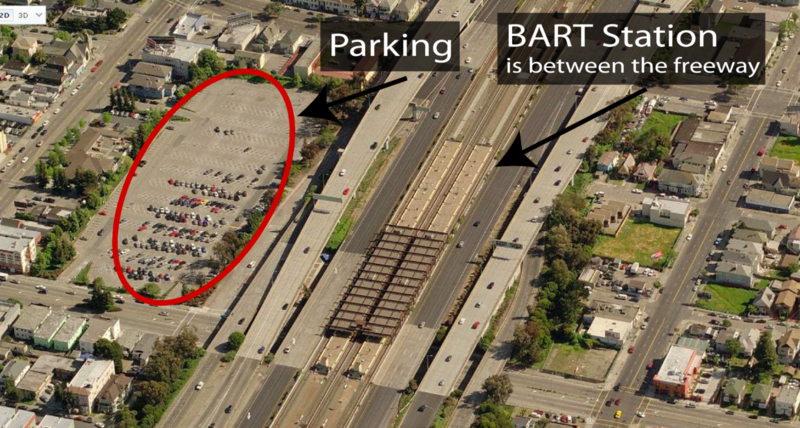 This is a transit station, the BART MacArthur Station, that is turning from a park-and-ride into more of a live-and-ride. The seven-acre lot is being redeveloped with a total of 880 new housing units, 143 will be offered at a subsidized rate for people who qualify based on income. Much of the housing will have retail on the ground floor. In other words, it will be walkable, it will be transit accessible and it will be mixed-income. The bad news is, as you can see in the photo, it will still contain a lot of parking, with a little under 500 spaces in the garage you can se in the picture. 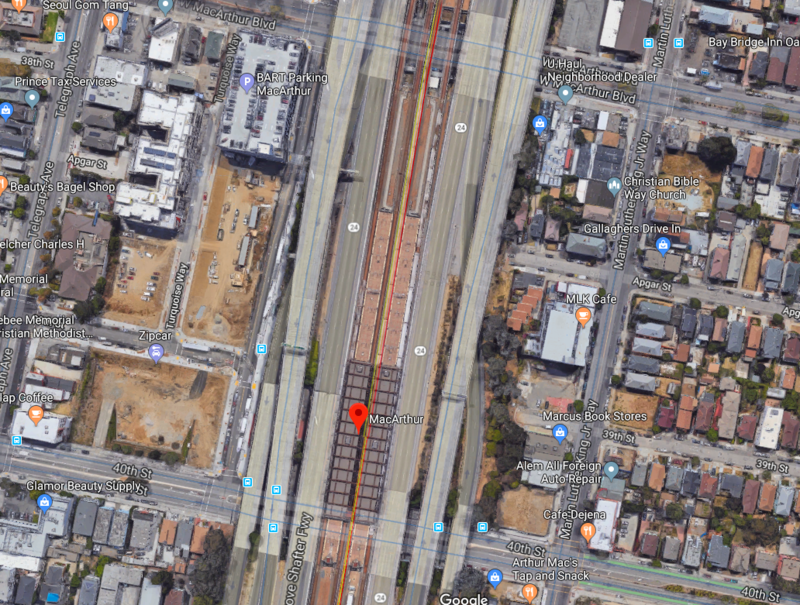 Nevertheless, the project is being rated in the Neighborhood Design category as LEED Gold, the rating system that considers how the development will impact transportation emissions. I think you need to reconsider your criteria. You’re comparing significantly different sizes and contexts. Not apples to apples.